1) Cylinder head porting which maximizes intake and exhaust air flow. 7) Custom designed thinner head gasket for added compression. 8) Manual cam chain tensioner for precise cam timing. The total price for this Superbike package is $2100.00. All we need for you to send us is your complete cylinder head and when completed we will ship you back the complete package. The cylinder head will be complete and ready to bolt back on to your engine. The cams will need to be degreed and the clearances checked. You may also choose to send us your complete motor and when completed we will ship the complete motor back to you ready to install. If you should choose to send us the complete motor the total price will be $2750.00 + shipping cost. If you need assistance on how to package your motor for shipping let us know we can help you. 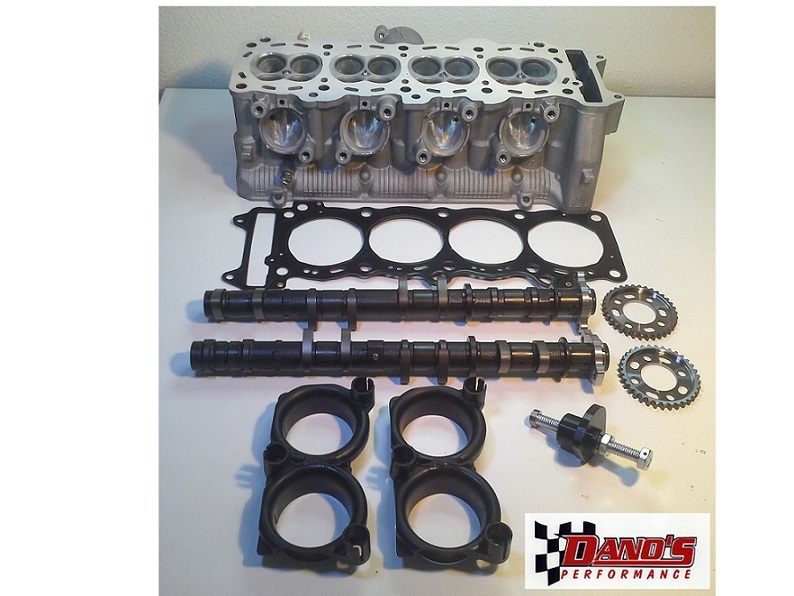 For our U.S. and our international customers who would like to purchase this package outright without sending your cylinder head (we will supply the cylinder head and all other components) the total price is $2800.00 + shipping. This is subject to availability so contact us via email or by telephone to check stock. 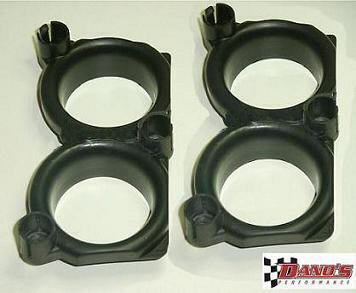 These velocity stacks will fit the 2009-16 Suzuki GSXR 1000 models. Just installing these alone will see gains of 3-4 more top end horsepower. The price for the set is $150.00 + $9.95 Priority mail shipping U.S. customers. For our international customers Priority mail at a cost of $34.95. We developed this performance package for the guy who desires the ultimate Suzuki GSXR 1000. This package will produce 215+horsepower at the rear wheel for the ultimate performance. 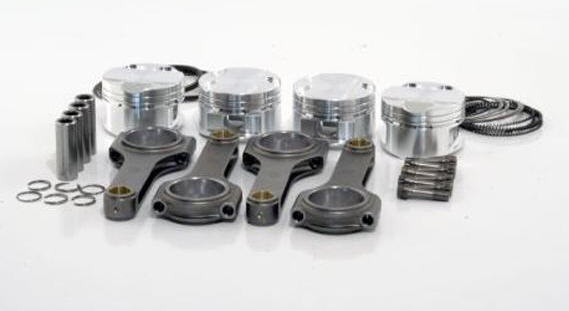 In addition to the components listed above in our Superbike package we include a set of 1052cc high compression JE pistons and a set of Carrillo connecting rods. We also remove the crankshaft balancer and race balance the crankshaft. The price of this package is $6800.00 + shipping. For customers running under Superbike class rules in which 1000cc displacement must be maintained, we will install high compression standard bore size pistons. 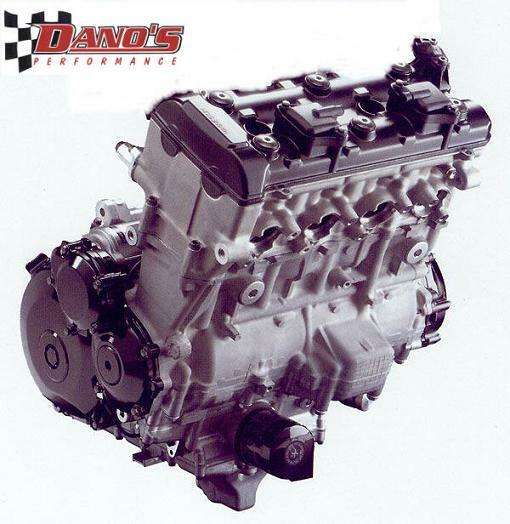 This package will produce 205 + horsepower and the price will be $6200.00.You will need to send us your complete engine and when complete we will ship it back to you ready to install. Call or email us for more details. These engines will produce a reliable 215 + rear wheel horsepower. For customers running under Superbike class rules in which 1000cc displacement must be maintained, we will install high compression standard bore size pistons. This package will produce 205 + horsepower and the price will be $8800.00. Call or email us for details and availability. These engines are available to our international customers with shipping worldwide !! !